Things are changing at GGMUK. We’ve said a sad goodbye (not forever!) to familiar faces from our team, as they embark on new adventures in foreign lands. Robyn has moved to Silicon Valley for the next stage of HER’s journey, and Magdalena is exploring Singapore’s startup community. We wish them all the best, and we know that they will be back and will continue to support the GGMUK team from afar. With the teams change, it was time to bring in some new faces to make sure we keep bringing you the speakers and inspiration you need through our events. 2015 has already been a great year, and we have plenty more amazing things up our sleeves to keep you entertained and informed as we move into Summer. To make sure we bring you the very best - we want to hear from you! If there’s a speaker you want us to find, a topic you want covered or an issue you need addressed, tell the faces below and we’ll work our Geek Girl magic to make it happen. Swedish emigrant in London. Works as a digital producer at advertising agency AnalogFolk. UK co-founder of GGM. Organising Queen. Tech junkie. Runner. Loves dresses (current count 37) and cats on the internet. 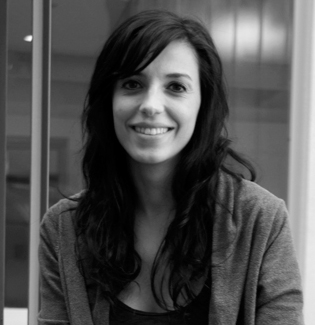 Born in Kosovo, raised in Zurich, passed through Barcelona to eventually end up being a UX & Graphic Designer in London. At Steer Davies Gleave, mainly deal with transport related "web stuff" and occasionally information and map design. Perfectionist. Essentialist. Curious. Chocolate addict. Love travelling and obviously tech. Film geek who fell into the roundabout. Now a lover of all things startup at strategic communications agency Albion Drive. Has worked with leading VC’s, accelerators and fast-growth tech companies across Europe. Looking after content for GGMUK - get in touch! Story-teller. Wannabe chef. Temporary vegan. Mentor. Don’t get me started on Game of Thrones. Originally a Fine Artist turned digital designer, I am obsessed with product, startups and human-centred design. New to the team at Pariti; helping people get themselves out of high interest debt.